الرئيسية Islam - Does Islam order Muslims to exterminate humans who don’t believe in Prophet Mohammed? 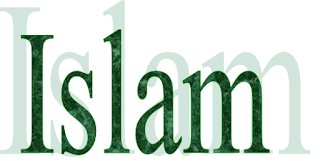 - Does Islam order Muslims to exterminate humans who don’t believe in Prophet Mohammed? "Speak fair to people;" Surat Al-Bakarah, Verse 83. People mean all people everywhere. "Do not argue with the people of the scripture (Jews, Christians, and Muslims) except in the nicest possible manner," Surat Al-Ankaboot, Verse 46. "Let there be no compulsion in religion." Surat Al-Bakarah, Verse 256. "Will you then compel mankind, against their will, to believe?" Surat Yunos, Verse 99. It never happened in history that Muslims used violence or forced a man or a woman at any place or anytime to become a Muslim. Islam organized the bases of relation between Muslims and people of other religions at the same country on the freedom of building their own places of worship, practicing the rituals of their religions and choosing the proper system of their lives without Muslims interfering in their life. Islam accepts that they have their own judges who judge among them according to their own legislations. The covenant Omar Ibn-Al-Khatab wrote to the people of Jerusalem is still a white spot or a mark in history; it testifies that Islam takes good care of people of other religions in Muslim countries.